High cholesterol is directly linked to diet and lifestyle, and as such, using herbs as medicinal foods should be a first line defense and treatment. Herbs containing lecithin content are believed to help prevent the accumulation of cholesterol in the liver and the retention of fats in the blood stream. Fo-ti, dandelion root, flax and pumpkin seeds are all good sources. Supplemental lecithin is harmless, but does not have the observational benefits of the whole herbs. Red rice yeast extract is a source of naturally occurring statins and is considered the best supplement for lowering cholesterol. As a soluble fiber, the mucilage contained in psyllium helps to lower cholesterol, (and to a lesser extent triglycerides). It also may help reduce blood pressure. 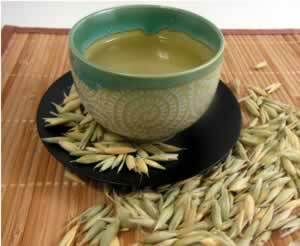 Oats contain beta-glucans which help to lower cholesterol levels naturally. 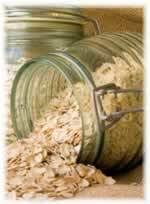 Eat rolled oats in least processed forms to get the full cholesterol-lowering benefits. Don't dwell on the foods you need to eliminate from your diet, celebrate the fab foods you should be including. Carob and cacao are both delicious and healthy treats that can be included in a diet to lower cholesterol. Research shows that the antioxidants in apple peels can slow down the oxidation of LDL cholesterol and help prevent plaque buildup. Since it is important to eat the peels, buy organic if possible and always wash fruit thoroughly. Sunflower seeds, pistachios, pumpkin seeds, sesame seeds, pine nuts, flax seeds, and almonds are particularly high in plant sterols, which can help reduce LDL cholesterol. Make up a bag mixed bag of trail mix and eat a few handfuls, or about 1/4 cup per day. Drinking tea lowered low-density lipoprotein, the LDL cholesterol in recent studies. To help lower cholesterol and improve circulation drink up to 4 cups of green and black teas a day.